Fatigue is not a condition in itself, but a symptom of a larger problem. Whether mental, physical, or both, fatigue is a common complaint amongst adults of all ages. Most people describe the feeling as lethargic, tired, or exhausted. The fatigue may be accompanied by other symptoms, such as weakness, low energy, or trouble concentrating. 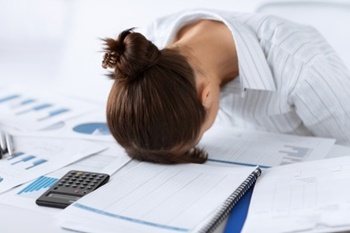 While many causes of fatigue are unknown, more concerning levels of fatigue may be caused by diabetes, anemia, heart disease, thyroid disease, sleep disorders, or COPD. Long-lasting fatigue may be associated with chronic fatigue syndrome but this is not always the case. By better understanding what is causing your fatigue, you can seek out natural treatments for higher energy and better overall health. Fatigue can have numerous causes, ranging from poor sleep habits to poor blood supply to the body’s tissues. A feeling of drowsiness can also be caused by various infections, inflammatory diseases, or from illnesses that affect the metabolism. If you take daily medications, see if fatigue is a side effect. Antidepressants, sedative medications, anti-anxiety medications, steroids, antihistamines, and certain blood pressure medications can cause fatigue. In some people, vitamin deficiencies can cause fatigue. Vitamin B12, vitamin D, folic acid, and iron deficiencies in particular have been associated with fatigue. If you are experiencing fatigue that interferes with your day-to-day life, it’s best to seek primary care services. With comprehensive healthcare provided by a licensed naturopathic doctor, you can get the treatment you need to live a happier and healthier life. Naturopathic doctors are medical professionals trained to treat a wide range of minor and major health conditions using natural, science-based treatments. 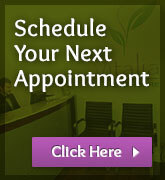 Start by scheduling an appointment with a Vancouver ND. Be sure to thoroughly explain any symptoms you have been experiencing and provide a detailed background history. Before a treatment plan can be made, certain tests must be done to provide a diagnosis. Along with your health history, the ND will take genetics and the results from a physical exam into consideration. Other cutting-edge testing may also be performed to determine your state of health, such as a clinical evaluation, laboratory testing and a bio-impedance analysis. Once testing has been completed and a full background history has been reviewed, your ND will then develop a treatment plan that meets your individual needs. In many cases, the doctor will also be able to narrow down the causes of your fatigue. Your diet plays a direct role in how you feel. If you eat foods that are bad, you’re going to feel bad. Take a closer look at your diet. Are you consuming balanced, nutritious meals that include plenty of fresh fruits and vegetables? If not, it’s time to make a change. Nutrition and dietary counseling is the first step to a healthier lifestyle. These services include education for creating a healthy body and preventing disease, and menu planning to ensure you are eating the right foods in the proper quantities. Are you tired of feeling tired all the time? If so, contact Vitalia Healthcare Naturopath in Vancouver today to schedule an appointment with a naturopathic doctor.